Core: This central section of fiber and made of silica. The core serves to transmit the light. The larger the core, the more light that will be transmitted into the fiber. Cladding: It is the first layer around the core. It is also made of silica, but not with the same composition as the core. The function of the cladding is to provide a lower refractive index at the core interface in order to cause reflection within the core so that light waves are transmitted through the fiber. Coating: Coating is the first non-optical layer around the cladding. 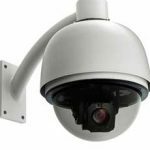 The coating typically consists of one or more layers of a polymer that protect the inside structure against mechanical, physical or environmental damage. The fiber jacket has several major attributes, including bending ability, abrasion resistance, static fatigue protection, toughness, moisture resistance, and the ability to be stripped. 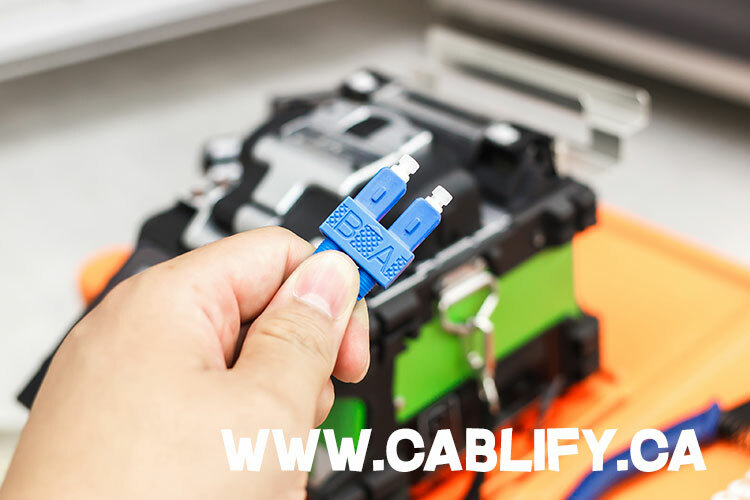 Fiber optic cable jackets are made in different colors for color-coding identification. Fiber splicing is joining of either core or clad. Cladding alignment is a passive alignment that relies on the accurate pre-alignment of fiber V-grooves that grip the outer surface or cladding of the fiber. 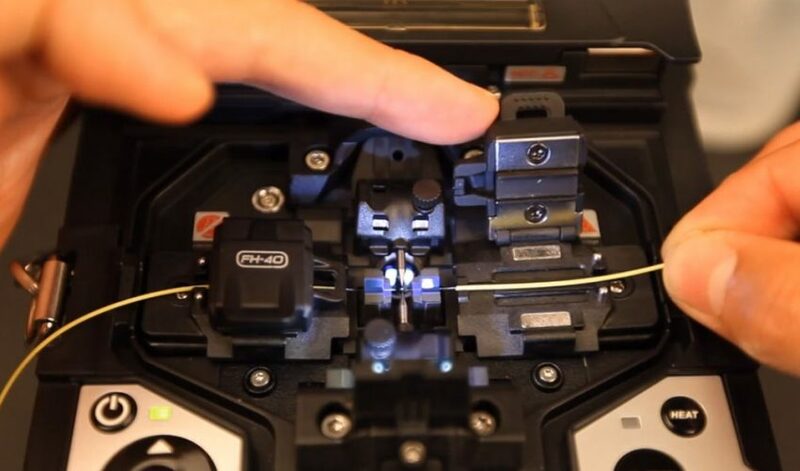 The core alignment fusion splicers actually align the fiber’s core or centermost silica where light actually travels along the fiber’s path. Core alignment splicing is currently the most commonly used fusion splicing technology. This provides for precise fiber alignment, resulting in a typical splice loss of the only 0.02dB. Compared to cladding alignment, it is more expensive, more powerful and flexible, and less sensitive to variations in the cable and environment. Fiber termination with connector is another popular choice where we connect two fibers to create a temporary joint. Fiber Splicing on the other hand is permanent connections between two fibers. There are two types of splices: fusion and mechanical. Fusion splices use an electric arc to weld two fiber-optic cables together. The process of fusion splicing involves using localized heat to melt or fuse the ends of two optical fibers together. The splicing process begins by preparing each fiber end for fusion. Fusion splicing requires that all protective coatings be removed from the ends of each fiber. The fiber is then cleaved using the score-and-break method. The quality of each fiber end is inspected using a microscope. In fusion splicing, splice loss is a direct function of the angles and quality of the two fiber-end faces. Fusion Splices are made by “welding” the two fibers together usually by an electric arc. The biggest application is singlemode fibers in outside plant installations. Mechanical Splices are alignment gadgets that hold the ends of two fibers together with some index matching gel or glue between them. There are a number of types of mechanical splices, like little glass tubes or V-shaped metal clamps. Many mechanical splices are used for restoration, but they can work well with both singlemode and multimode fiber, with practice. If you want the splices to be made quickly and easily, the mechanical splice is a better choice. 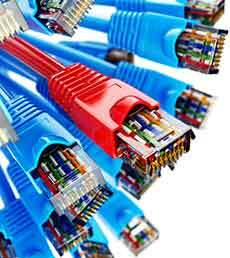 A typical example of this method is the use of connectors to link fibers. Both fusion splicing and mechanical splicing method have their advantages and disadvantages. The fusion one provides a lower level of loss and a higher degree of permanence than mechanical splicing. However, this method requires the use of the expensive fusion splicing equipment. Looking for Fiber Optic cabling, contact us for all type of Fiber repair, maintenance, slicing and termination services.